You’ve likely seen or heard these sound bites or ones like them before. Why do we see them over and over? Because they work! People, myself included in past years, get lured into thinking that because we can “afford” something then it must mean we should spend the money to make them ours. What this has led to in our culture, is a payment mentality. The myth behind this payment mentality is that if we can conjure up the cash, the item in question should be ours, whether or not we can truly afford it. 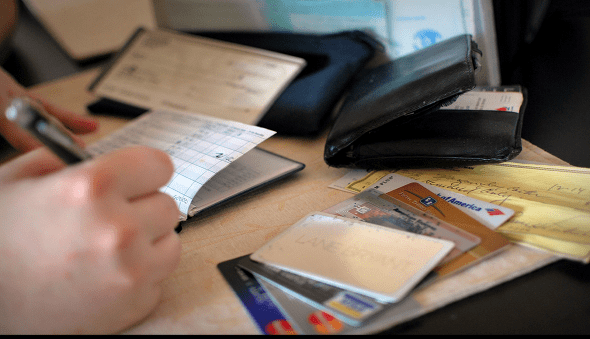 Let’s face it, having payments and the payment mentality bring about one thing…debt. Not only is it debt, but it obligates you to making a payment every month to pay down something you wanted. The problem with these payments is that they’re generally, when summed up, going to be much more than the original price of the item in question. You can argue that not all debt is bad and I would agree. We have a mortgage, much like many others have mortgages. While some would consider a mortgage “bad” debt, I really don’t. That could be seen as rationalizing, and maybe it is, but you have to take a look at the value received. Buying a house is likely the largest investment many of us will make and will hopefully grow in value over time. Having a payment mentality, on the other hand, is not focused on growing your wealth, but instead growing your number of things or having more stuff. Essentially this payment mentality gives no thought to the future, but only to the present to satisfy desires or felt needs as opposed to being prudent financially. If that last statement is true, then I believe it could be argued that you really can’t afford the item in question but instead are willing to enslave yourself to payments in order to get what you want. This is not meant to ridicule consumerism by any means. We’re all consumers, whether we like it or not, at some level but believe there is a difference between mindless consumerism and being a wise consumer. That said, one of the main culprits behind this payment mentality is marketers. Many of our regular readers know that my wife and I run an advertising business. Much of that advertising is business to business, but a good chunk of it is business to consumer. Businesses know that they can trick us to falling for the idea that we need whatever it is they’re hawking at us. Ultimately, it’s their job to do so and they get handsomely rewarded for making their advertisements more convincing. That is but a sampling of the ways and the majority of these things are financed through either a credit card or a monthly payment. If you’re not paying your credit card off each month, then face up to reality in that is a monthly payment as well. So, I guess my point is to not make their work easier on them but to be mindful about your spending habits and not falling into the trap that financing something is always a justifiable means to get what you want. With it being Financial Literacy Month I didn’t want to end on a negative note, but give options to avoid this payment mentality and still allow you things you want. I could easily say that being content with what you have and delaying gratification are the ways to overcome taking on more payments, but they aren’t very actionable. This isn’t exactly earth shattering for most, but the simplest way to get beyond a payment mentality is to save for what you want. Riveting, I know, but so much of it does boil down to saving and budgeting for what you want. How does this apply to something like buying a car? I know for many it would take them too long to save up money to pay cash for a new or used car, and financing is the only option. That is fine, but just think of what you can save in the long run by saving 10, 20 or 30% for that car purchase and putting it as a down payment? Not only will that shorten the amount of time you’re paying for the car, but significantly reduce the amount of interest you’ll pay. Beyond that, my favorite way to combat this payment mentality is to create a fund that allows you to buy whatever the heck you want. Make it personal to what your preferences are, but the point is to make it something that excites you. In our family, we love to travel, and in order to do that we need money…usually a lot of it. While we do like to travel for free through travel hacking we know that may not always be an option and so we save. That gives us motivation to save and allows us to enjoy our travel guilt free without nasty debt attached to it. As a reformed spender, there is nothing like this feeling of doing what you want without taking on more debt and is not something our society preaches. I encourage you to go against the grain of the payment mentality by financing things yourself instead of at the expense of your future self. How quickly are you to take on more payments? What is one way you can suggest to break the payment mentality? What is one thing you save for so you can do whatever you want? “…take them too long to save up money to pay cash for a new or used car…” At issue here is the fact that we tend not to plan ahead. Instead, we wake up one morning and think “Oh, I need a new car…I don’t have the money, guess I’ll finance it.” Overcoming the payment mentality requires foresight to look into the future and anticipate a need. Two years ago my wife and I started saving for a new car because we realized our mini-van would soon be busting at the seems with growing teenagers. We are 2/3 of the way to our target price for a used Suburban-type vehicle and will most likely have enough by the end of the year to buy one. Overcoming the payment mentality also requires that you philosophically believe in that ideal. It’s simply become a way of life for most people and they would rather just not give it up. Great points Brian! I think the foresight issue is a huge one. Many, and I used to be one of them, don’t think about what’ll happen in the future and end up only doing what makes sense for the future. That might make sense for some things, but when it’s financial in nature you’re setting yourself up for failure. I have fallen under this marketing trap and I agree with your approach. The only way to keep is honest is if we spend our money on something we really enjoy. The best way, as you said, is to “to create a fund that allows you to buy whatever the heck you want.” That way you’ll be prepared for the expense and won’t run into debt! I think we all do at some point Michael. Being prepared it vital. Marketers are good at their jobs i’ll give them that. I just wish people would look at the bigger picture before they signed up for these things. Also, I agree with you regarding mortgage debt. To me having a place to live that is our own is something that I am happy to pay for and something that I think is worthwhile. As you say, hopefully given enough time the house will be worth more and it turns out to be a good investment decision as well as a life decision. Yes they can be Glen. We don’t do them any favors when we don’t look at the bigger picture. Having quite a few student loans between my wife and me has definitely made me see the benefit of paying for things up-front instead of making payments. At the same time I think there can be some value in making payments, whether it be to get exposure to the real estate market (and build equity) through the form of buying a home, or to purchase a car to take advantage of low interest rates offered on auto loans. I do think some things are better paid for up-front, like vacations. It can be very beneficial to pay for things up front, though it’s pretty difficult to do when it comes to college. In terms of real estate, I generally have no problem in having the payment. Anything else though, why take on the payment if you don’t have to? Great post. I think it’s easy to get sucked into the mentality that if you think you can make the monthly payments, it must mean you can “afford it.” I have a family member who consistently drives me crazy because she buys expensive vehicles all the time. And by “all the time,” I mean that as soon as she’s got it paid off then she thinks it’s time for the next one. She makes maybe $60k a year and every few years buys a vehicle that costs upward of $40k. And not just any vehicle- brand new huge pickup trucks. She only has to drive in town and sometimes highway, so there’s not really a clear reason why she needs huge new pickup trucks, other than she says that’s what she likes. But she thinks because she can afford the payments that she can afford this. I don’t know what she’s got in retirement, but I doubt it’s enough. Drives. Me. Crazy. I hate making payments on anything for the exact reasons you’ve mentioned. I think it just takes the sting out of the full purchase price. If I’m going to buy something, I pay cash. I want to feel the burn- that lets me know whether I should really be buying it or not. I feel the exact same way Holly. If I want something then I better be able to pony up the cash for it. Otherwise…I don’t get to buy it. I like the idea of setting money aside for anything. My wife and I recently started to fund an “opportunity fund”. We put money in it here and there and when an opportunity comes along – like a last minute travel deal or a great sale on something we want, we have the money there to take advantage of the opportunity. The “payment mentality” is exactly how we lived for 13 years. As long as the monthly payment fit, we were OK. Soon we had more monthly payments than we could shake a stick at, and they all had years left on their terms. Not a good situation to be in at all! I was there once as well Travis. It makes me want to shake my younger self, and thankful we’re both out of it. This was one of the ways we got ourselves into trouble. Each monthly payment does not seem like a lot, but when you commit to four or five, before you know it, your fixed payments have just grown substantially and you have less wiggle room to do what you enjoy. That’s exactly it Shannon. In a one off situation you think you’re going to be fine. But, they do a funny thing when you start adding them up – they become more and more of your take home pay. Not a good situation to be in at all. I got tricked by this once when I was just out of school. My computer had imploded (it thought it was a server and starting asking and denying itself permission to do things, when it would boot up at all.) The quote to get it fixed was a high as a new computer, and I couldn’t afford a new computer….but I could absolutely afford the $50/month to get one on a payment plan. Sorry to hear that Tanis. I’ve made the same mistake myself in the past and wish I could go back and shake some sense in to my younger self. That said, I think many of us do it – the key is to not repeat it too much. Thanks for stopping by! Preach it Kathy! Couldn’t have said it better myself. Unfortunately I got caught into this trap with my new (used) car recently. Although I could have put a huge chunk of my savings in for a downpayment, I still chose not to because the interest rate was so low, as a freelancer I felt more comfortable having the case in the bank just in case. However, it was my fault for not starting a car savings fund earlier. After putting 5k into my car last year, I really thought it would last longer than one year on the road. My bad. That is definitely a unique situation Tonya and one that I know all too well. I can’t say that I wouldn’t have done the same thing as we never know how the next quarter is going to be. Oh I love this little marketing trick. I used to fall for it all of the time. That is why I bought a freaking Jetski. It was only $69 per month, but that just ended poorly. I am much better at this now. I look at the full value that I will be spending. I also look to see how fast I can pay if off. Yep, many of us have fallen prey to this trick. Mine was a car, though never again. I can’t ever see taking on another payment unless it was for a mortgage. Although, I guess if the interest rate was right or 0, it might make sense for a car payment. I don’t think I’d take on one unless I had the money to pay if off if I wanted. Payments just keep you trapped. We also save for travel and for home repairs that will have to be done eventually. I can’t either Kim. I understand the idea of taking one on for a car if it’s a low APR, though I simply don’t want the payment. I hate having monthly payments, but it can be unavoidable sometimes. The only monthly payment we have right now, besides bills, is for our car. We saved as much as we could for months so that we would have a smaller amount to finance. I can’t imagine buying consumer junk and paying it off for months or years. I do too and agree that it can be unavoidable at times. Buying junk was my case and will never do it again. The only time I’d be for payments is if you have the cash up front in savings to buy the item or item(s) but have been offered 0% interest so you’re just keeping the cash in savings to earn interest while paying the item in the interest-free payments. But I would only do that if the money amount of the payments was doable as well with monthly income! I know, that’s how they get you. I can see doing it in that case, though I think the loan would only last a month or two as I’d hate having that payment to deal with. So many people fall for the payment mentality. I won’t lie, Wes used to fall for it all the time but I have “enlightened” him and shown him the truth. He also learned more about it when he was a car salesman so now he truly knows what kind of scam it is! They do and I bet he did learn a lot during his days as a car salesman. It’d be interesting to talk to him about it. This was exactly my mentality when I purchased my first car. I got the most I could get for what I wanted to pay per month and my loan was for 72 months. I still have about 3 and a half years left on this car note. Interestingly, I am taking a financial management class and my teacher gave us a formula to see just how much of the car payment is for the car and just how much is interest. Never again, will I buy a car and agree to a loan with a 72 month term. My philosophy has evolved and in the future, I plan on only buying things with the full amount of cash up front unless it is an absolute necessity and I can’t afford it unless I finance it. It was the same way for me Jordan and I financed the car for 66 month. Never again! I definitely made mistakes with this in the past. It’s an easy trap to fall for because they make it sound very convenient. I’m with you that saving for the things you want is the way to go and I just wrote about this same subject today. As you said it’s not riveting but it does teach you the lesson of learning how to budget and save for the things you want. Awesome, great minds think alike! 🙂 That said, we all run into this mistake and I’m just glad to have learned my lesson. Totally guilty of this with our car and a previous computer. It’s easy to think “I’ll have the money down the line!” without thinking what could go wrong or what would happen if your income was gone. Now we concentrate on building up special savings accounts for our purchases. I have been as well Michelle – I think many of us have been at one point. Focused savings accounts are the way to go in my opinion. My co-worker is every marketer’s dream customer. Her and her husband lease their vehicles because since they are always going to have a car payment why not have a new car every three years. Why she doesn’t pay off her credit cards – she will always have a car payment. And now why she sold her condo so she could afford an RV – she will always have a mortgage payment. They now rent. She also takes at least one big vacation every year. Wow! Yep, that is a marketer’s dream customer. So true…the marketers love using the payment trick. When you breakdown a large amount into small payments, it always looks more palatable. I especially hate the credit card commercials where they make it seem like every purchase is as easy as a swipe. Well you still have to pay for it right?! I hate those as well. Little do they know, or maybe they do and don’t care, the message that portrays. Payment plans are definitely trip up a lot of people. We’re excited because we think we can now have something we couldn’t afford earlier and overlook the fact that we ultimately pay more than if we bought it outright. Or the fact that we may no longer even want or use the item by the time we finish paying for it. Like you said, we need to become smart consumers. There is nothing wrong with wanting something but we need to figure out where and if it really fits into the life we want for ourselves. And it so much sweeter when I can enjoy traveling or whatever without having to wince every month when I make another payment installment. I agree Shannon, it is so much sweeter to enjoy whatever it is you like to enjoy and know it’s all paid for. So many times when we’re tripped up it’s often by simple math that we didn’t take the time to stop and figure out. That’s exactly it Nick. We don’t think that $20 per month is much, but over the span of that long of a time it adds up to some real money. I cringe every time I see the “easy payment” thing. Here they don’t even have to display the APR which is usually over 30%… So many people in my village are paying for months for a simple household item like a blender they could buy cash if they saved for a month or two. Wow, that’s so crazy. It just goes to show you that this happens in every culture. I’m “anti payments”. I have only gone on a payment plan when I was offered 0% interest, and it was something that I needed and had planned to purchase – in this case, it was a mattress. We went shopping for one, found the perfect one, went to pay and were told that we could get 0% on a payment plan which would let us keep our money in our accounts, making interest. Other than that, I pay up front for everything to avoid the money coming out of my account each period. I think, aside from a mortgage, that’s really the only time I would even consider it. However, I’d likely still pay it off as I hate dealing with payments. I hate payments – the only thing we have payments for is our house at this point! I won’t even do 0% interest stuff – it’s all a gimmick to trick you into missing a payment and taking your money. I agree. I guess I understand, on one level, how you could benefit from the 0% if you have the money already and making money from it, but I’d hate to do even that as I rather not have the payment at all. We had a 0% loan for a bed we purchased. Once we got my yearly bonus, the loan got paid off. On the one hand, we missed out on interest that could have accrued in our account. On the other hand, no worrying about missing a payment plus peace of mind knowing that it’s not hanging over our heads. Inre: cars, we’re sort of reversing the payment mentality. We’re putting $300 into a car fund each month. We figure it’s about the size of the car payment we could handle. So even though we probably won’t make it to the full price of a new car, we’ll have an excellent down payment and we’ll already be used to the money going away each month. So far we’re up to about $4,000. It sounds like you did the right thing with the bed purchase. Taking advantage of the 0% is tempting and I might consider it, but even if I did I’d be paying it off as soon as I could as I’d hate having that payment hang over my head. That’ a great way to handle a car purchase. If you’re unable to save enough to buy in full, at the very least you’re already making that payment so to speak and have a good chunk for a down payment.